Lisa is a CPA and earned her Bachelor of Accountancy from Walsh College. She has been with the firm since 2001. She has prior experience in banking, government, and automotive industries. Lisa specializes in the audit and reviews of condominiums, homeowners associations, and cooperative housing associations. 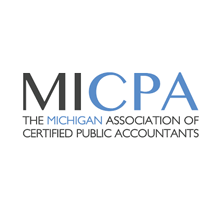 Ms. Pellegrino is a member of the Michigan Association of Certified Public Accountants.